Join us for a monthly discussion of a chosen poet. The discussion is led by retired English Professor, Dr. Alan Holder and meets on the last Friday of each month (excluding July and August). 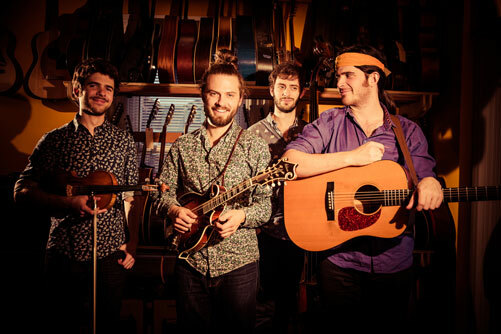 The Jacob Jolliff Band features some of the most virtuosic and innovative young pickers in the country. Jolliff continues to tour extensively with Yonder Mountain String Band year round, assembling his namesake band when his relentless touring schedules permit, for rare, not to to be missed performances. Check out this video performance of - "Lost" https://youtu.be/_KbO9latWEU. Ridgefield Folk is made possible thanks to the Friends of the Ridgefield Library. Ernest Troost, an Emmy-winning film and television composer as well as a recipient of the prestigious Kerrville New Folk award for his songwriting, will perform at the Ridgefield Library on Sunday, June 2 at 2 p.m.
Troost has composed and produced two award-winning albums of songs for Judy Collins using the words of Emily Dickinson, Robert Browning, Gertrude Stein, and others. Los Angeles-based Troost’s scores for films include the cult classic Tremors and HBO’s award-winning Lesson Before Dying. 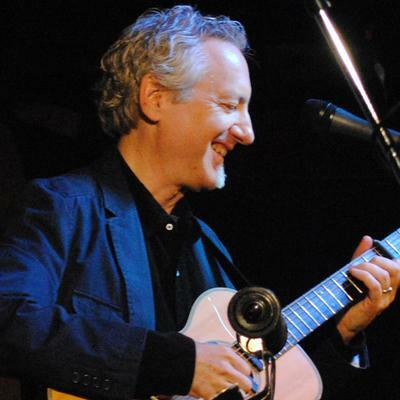 This concert is part of the Library's spring 2019 Ridgefield Folk live music series. Tickets are free thanks to the Friends of the Ridgefield Library. The concert is free thanks to the Friends of the Library. Doors open at 1:30 PM. Have a story you'd like to tell? Don't know where to start? Personal stories are often the hardest to contemplate. What will people say? Can I do the experience justice? This sort of questioning can trap and distract a writer from the details that can be addressed and recorded. Creative non-fiction is after-all a practice. Like anything else there are tricks of the trade and community in the writer's room. Join us for "Personal Encounters" a workshop in the personal essay. Classes take place over four weeks, starting on Thursday, July 11 through Thursday, August 1. By registering for the first class you are automatically registered for all four sessions. This program is part of the Library's A Universe of Stories Adult Summer Reading Program and is made possible thanks to the Friends of the Ridgefield Library. Looking Back 50 Years: the Exceptional Events of 1969 with Journalist, TV pundit, radio commentator and podcaster Evan Weiner. In his presentation Woodstock: A 50th Anniversary Celebration Craig Harris incorporates rare recordings, archival video, insightful storytelling, group singing, and guided music-making. 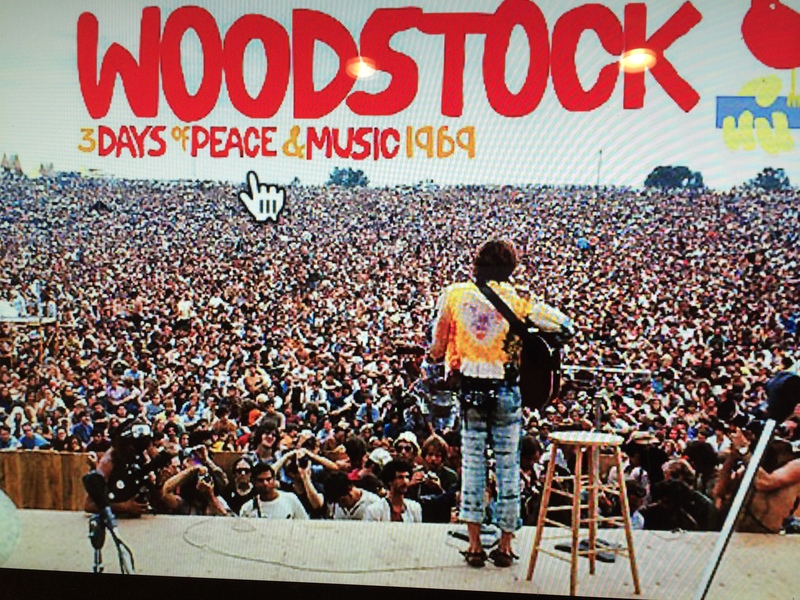 The August 1969 Woodstock Exposition of Music and Art continues to reverberate cultural ripples and this program will not only stir memories but provide new perspective. Craig Harris has taught, written about, photographed, and played music for more than four decades. A master percussionist, educator, author, photographer, and the host of a popular weekly Friday night radio show in Washington, DC. His latest book Bluegrass, Newgrass, Old-time and Americana Music was published in 2018. He’s also the author of The Band: Pioneers of Americana Music (2014) and Heartbeat, Warble and the Electric Powwow: American Indian Music (2016), as well as countless music-oriented reviews, articles and photos for newspapers, magazines and websites. His passion for music, however, goes beyond the printed word. A skilled percussionist/drummer, he's performed in concert with Woodstock veterans Melanie and Rick Danko (The Band). In addition to working with an Americana group (Two Days Jeans), he’s been a member of the Gaea Star Band (with whom he co-hosts a syndicated weekly radio show) since 2014. After teaching music for more than a quarter of a century, Harris (who possesses a master's degree in education) launched his Drum Away the Blues program in 2009. This program is part of the Library's A Universe of Stories Adult Summer Reading program that is made possible thanks to the Friends of the Ridgefield Library.